'I got it from my mama' we boast, proudly showing off whatever positive bits of our heritage float to the top of our genetic pool. Buddying up with our grandmother's maiden name, our great aunt's cheekbones, our uncle's goofy sense of humor - these are some of the only socio-culturally acceptable ways we have of honoring our ancestors. But embracing ancestral trauma, recognizing their pain in our own dysfunction, taking on their gaping wounds as ours, their old scars as our new scars, is not something so readily talked about. Unless you're spiritual herbalist Karen Rose. 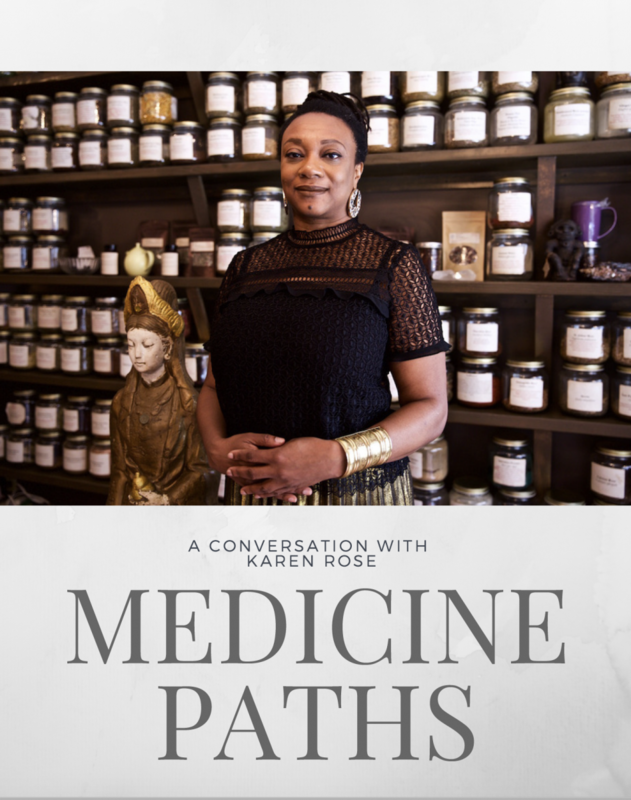 A beacon of light and dark, a maven of plant medicine, an empowered woman who walks the walk and talks the talk, urban Brooklyn healer Karen Rose talks about embracing the shadows of her ancestors like it's what she does after breakfast each day. Because it is. Her work is both otherworldly and down to earth, of the spirit realm and totally practical in a out-of-tune world. Karen was a heralder of the wisdom of epigenetics long before it gained buzzword status. This September, I cozied up to my computer for an enlightening and enlivening (virtual) conversation with Karen. Since Karen's work is grand on a totally unearthly plane, we covered no small topics - ancestry, ritual, community, responsibility, resilience - always coming back to the people and the plants that bind them.